It was a simple fix. 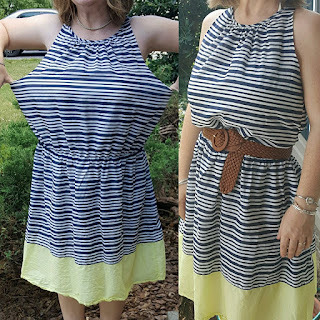 I took in each side a bit and it changed the fit of the whole dress for the better. The arm holes closed up like I needed and the whole upper half fit nicely. I also decided to do something with this nightgown. It is a full-coverage nightgown, if you know what I mean. (Head to toe, Victorian era coverage.) 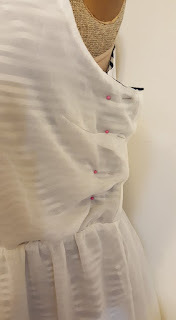 I found it at a clothes swap and even though I don't like nightgowns, I loved the eyelet lace. 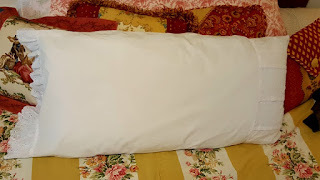 I made a pillow case out of the skirt and a bit of the bodice. I like the eyelet on bedding much better than I liked that nightgown. For more pictures and details about both of these projects go to I Can Work With That. Nice save on the nightgown, turning it into a pillowcase. 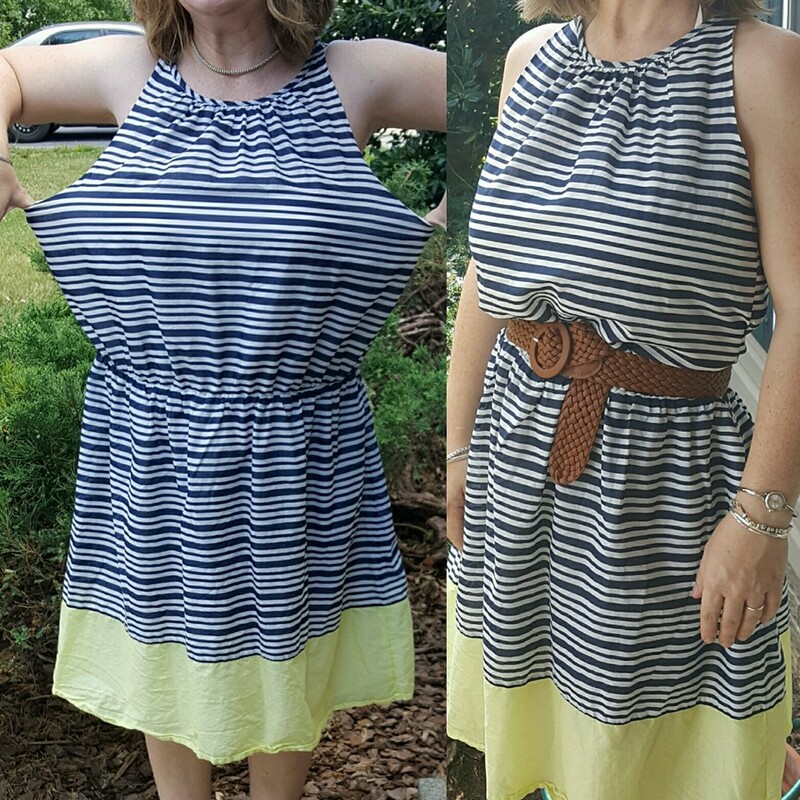 The fixes really helped the dress, and I love the big color block at the bottom of the dress. So pretty.